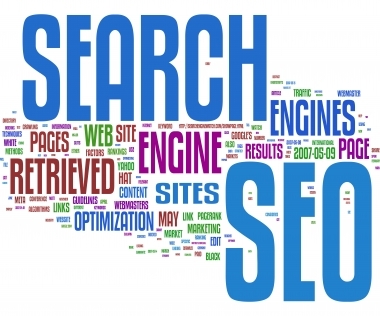 Home » Blog » SEO: 5 Things You MUST Do Before You Even Begin! SEO has a growing number of considerations and activities associated with it, ranging from link acquisition, to content writing, technical website changes and engaging on social platforms with your website’s audience and potential audience. But before you even think about making headway with any of the ever growing list of campaign duties, here are 5 things you really much do before you even get going (based on the campaign being for a client). Like really cement it. Any errors at this stage and you risk putting time and resources into a SEO campaign that might not reap the rewards you hope it will. Research, research and then do more research. Gain insights from the client, if the campaign is for a client and keep feeding back to the client for their thoughts. If you can report on traffic and conversions, then you can’t demonstrate the value you are adding to the client and that means the client has no basis on which to justify the spend with you. Get Google Analytics in place before you begin, as well as Webmaster Tools (both Google and Bing Webmaster Tools). This should be done well in advance of getting started. Ecommerce sites should implement ecommerce tracking in Analytics and lead gen sites would benefit from tracking enquiry form submissions as conversions. The verification process can be lengthy (postcard from Google can take weeks to arrive!) so you will want to initiate the process as soon as you possibly can). You really need to get to grips with what you are up against before you start. This will also help you to set realistic expectations for your client as well. Research their social activity and their SEO activity in depth. As an agency site Internet Marketer, you’ll come across campaigns in all sorts of industries and they will all be different. Particularly with the increased need for good content both on site and for social and distribution purposes, you’ll probably find that more and more of your campaign centres around creating that content. This means you will need to understand not only your client’s business but their wider industry as well in order to effectively write about it. Time spend researching before a SEO campaign begins is time spent incredibly well! Stacey Cavanagh is a self-confessed gadget geek, lover of everything social and compulsive #hashtagger. She works as Digital Marketing Manager for UK agency, Tecmark. Good tips. Understanding what your competitors do is very important. I once launched a few sites focused on a keyword. Sadly enough i discover a huge corporate was having a campaign on that keyword. My sites were all new and i could not compete with a corporate that had a big budget. Know what they do before you start is vital for your success online. I absolutely agree with you Nicky! Knowing your competitor is really important and in this case tools like SEOmoz Term Extractor, Open Site Explorer, SEMRush and SpyFu comes into play. But thanks for sharing this experience with us. Really appreciate it.